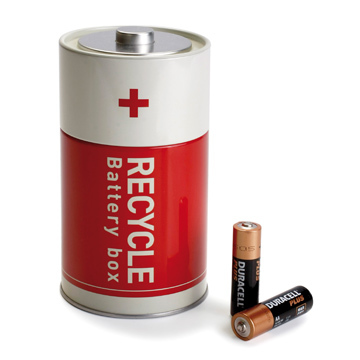 Battery Recycling Box. The boat is a pile XL, to know your uso.Original and fun design, this boat was manufactured as an ecological idea to help the environment. You can now collect used batteries and bring them to the recycling center when the boat is full. Help the environment and the entire planet. Education is a matter ofBravo! Available in assorted colors blue, red and green.